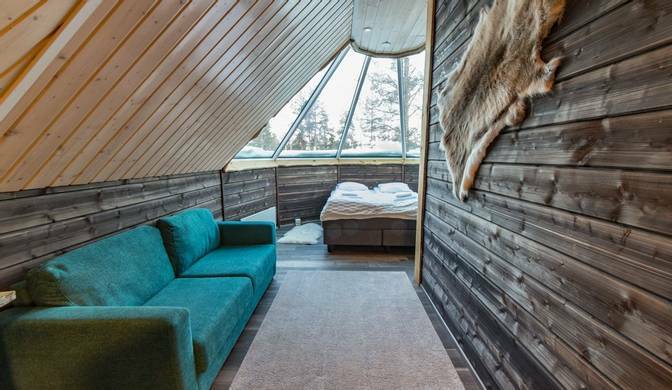 When Jouko first told me he had bought another hotel in Lapland I did have my concerns... Nellim (the other hotel he owns) has always been a bestseller for us and a real personal favourite destination. These were some very big shoes to fill! However, I think the beauty of Muotka is in its contrast to Nellim. 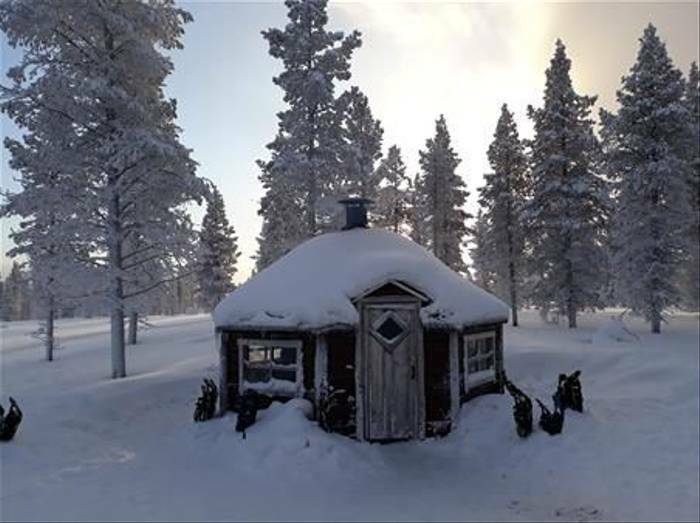 It is located deep in the snowy Taiga Forest which looks like a scene straight from a postcard. 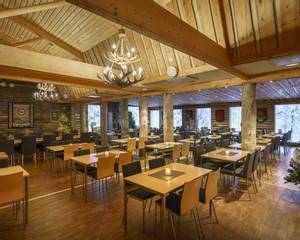 The hotel's proximity next to Urho Kekkonen National Park also means that it has a very exclusive feel and it is rare to see another person during activities (except for the odd Finn enjoying the network of cross-country ski trails). If you want to get away from it all then this is the perfect wilderness destination and the flexibility of tailor-made allows you to create your own perfect itinerary during your stay. 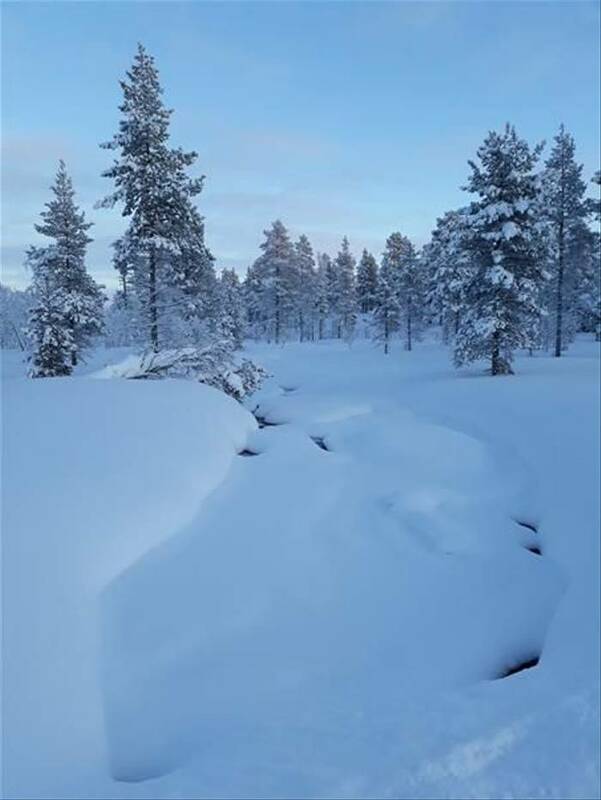 Tailor your short break and set a pace that suits you in the forests and fells of Finnish Lapland. 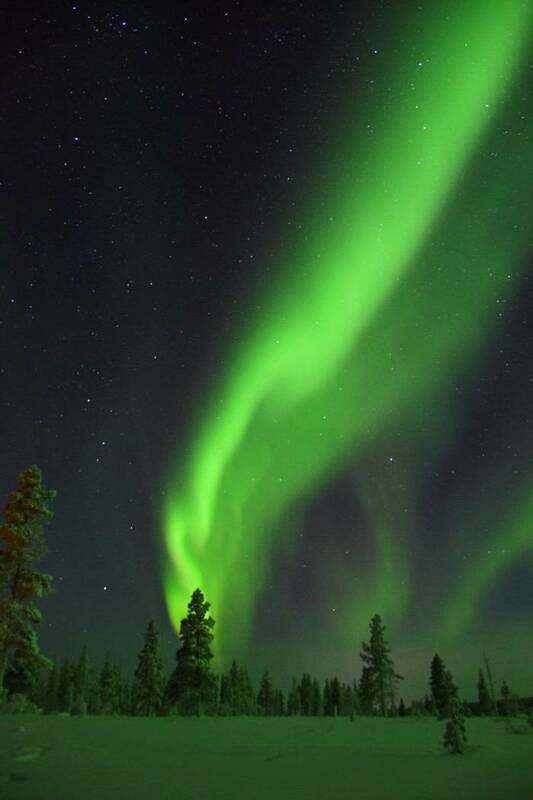 The wintery surroundings of Muotka, provide you with the perfect playground to enjoy as many activities as you wish and of course, hunt for the Northern Lights. 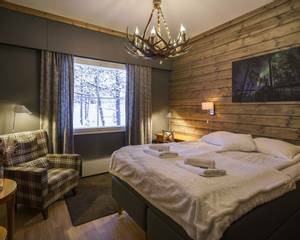 Muotkan Maja Wilderness Hotel nestles amongst the forests and fells of Finnish Lapland and offers guests a truly peaceful retreat for a tailor made holiday. You can enjoy as few or as many activities as you wish during your stay and can vary the duration of your holiday to suit your needs (a minimum of three nights is required). If you are part of a group of people who would like to enjoy varying levels of activity then this option really does provide you with the perfect solution. 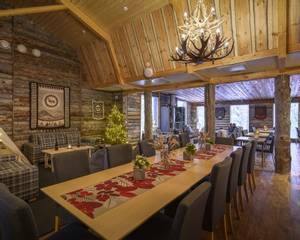 There is a range of exceptional Lappish experiences on offer at Muotka and the friendly and welcoming guides ensure that all guests really get the most of their time here. 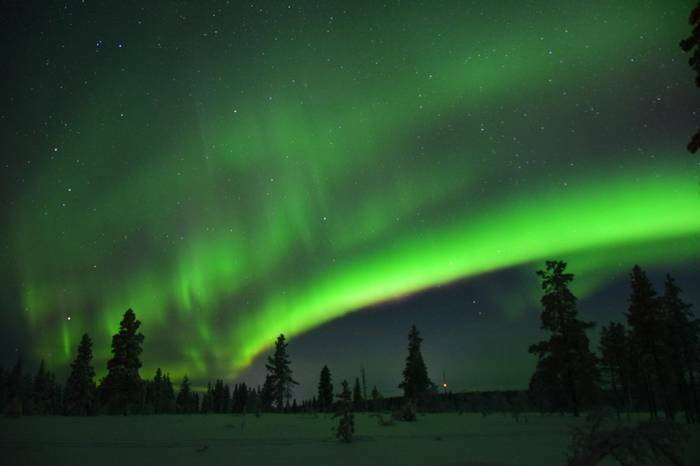 There is an array of Aurora hunting options available to ensure that you can maximise your chances of viewing the Northern Lights whilst also enjoying some unforgettable activities. The details of the activities available here can be found on the 'activities' section of the holiday page and include highlights such as snowmobiling, reindeer encounters, cross-country skiing, snowshoeing and dog sledding. 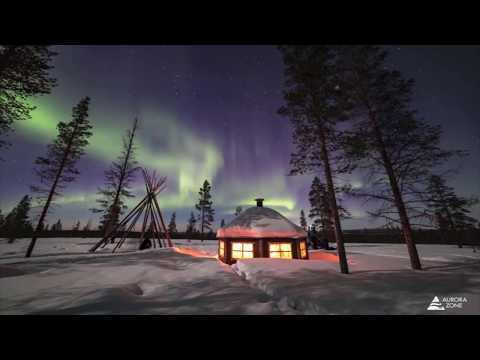 The Aurora activities available include various hunts on foot, by snowmobile or minibus as well as visits to dedicated Northern Lights camps deep in the wilds. 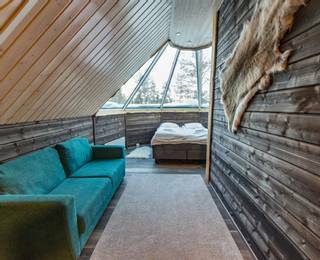 Guests can also upgrade to spend the night in one of the unique Aurora Kotas here at Muotka for an unforgettable night. 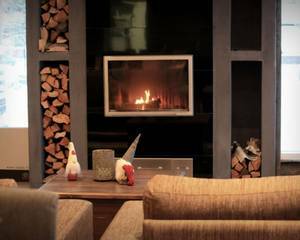 Our standard base package at Muotka includes: return flights from London to Ivalo, return airport transfers, 3 nights' accommodation on a full board basis in one of the cosy hotel rooms, cold weather clothing for the duration of your stay and the services of our local representative and experts guides. 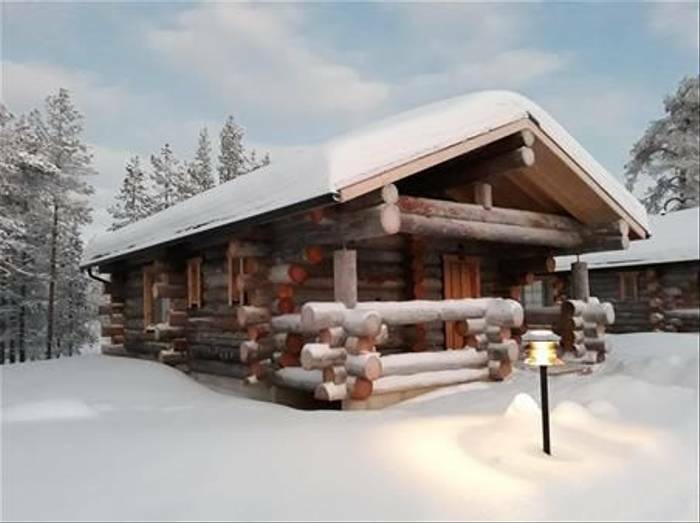 Situated not far from the main hotel, the10 log cabins at Muotka are a wonderful upgrade option for those looking for a little more space during their stay or if you are travelling as a small group or family. 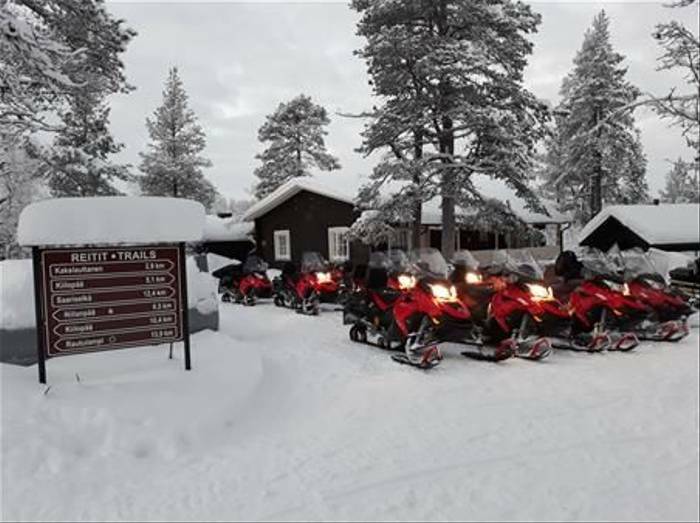 Whilst full instruction is provided on all safaris, this activity is ideal for those who have never driven a snowmobile before as well for anyone that simply wants to enjoy a short trip, prior to a longer safari later in their stay. You will be given an introduction to these machines and the chance to try driving on some very easy trails during this safari. 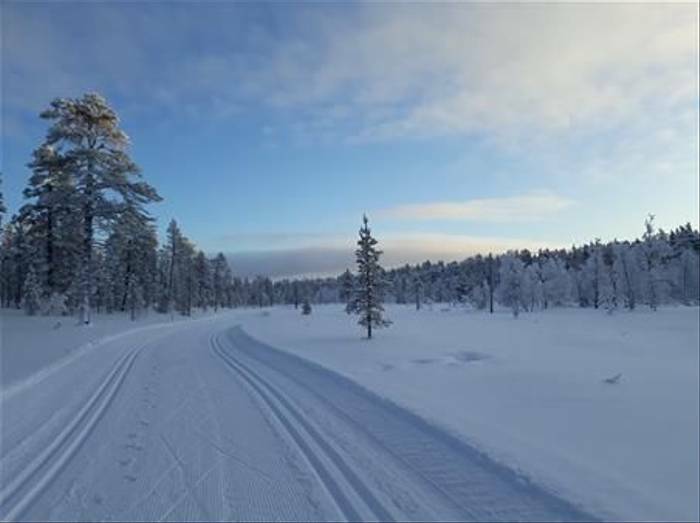 You will travel two people per snowmobile as you do during the other trips on offer so you can get to grips with the handling, etc if you are less confident. The activity lasts around two hours in total. Please note that you must be at least 18 years old and hold a full driving licence to drive a snowmobile. 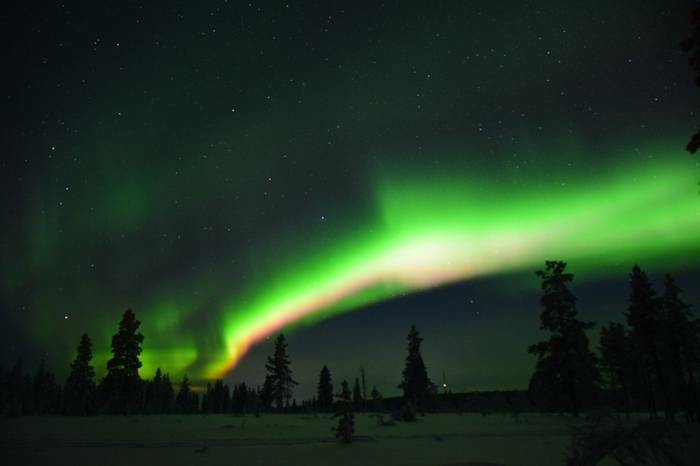 During this activity, your guides will use their local knowledge, as well as the Aurora and weather forecasts to lead you to a prime Aurora viewpoint. 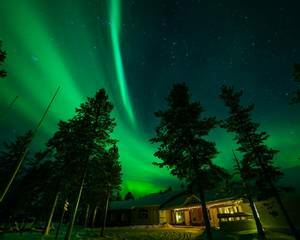 Your guide will impart some of the extensive knowledge and you will enjoy an evening out in wilds, hopefully gazing at the Northern Lights. During this Aurora snowshoeing activity you will walk through snowy forests away from light pollution in search of the Northern Lights. 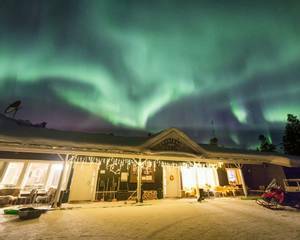 Your experienced guide will lead you to a nearby camp where you can enjoy a hot drink whilst waiting for the Northern Lights to appear. 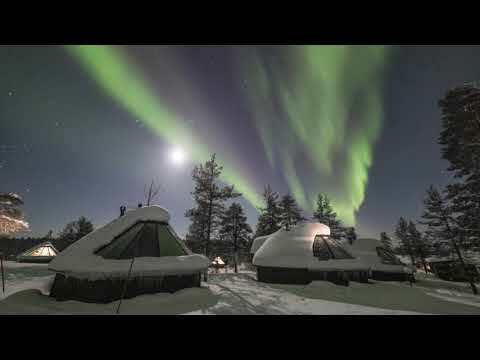 The Aurora Camp at Muotka is situated deep within the forest, which makes it a remote place and far away from any light pollution. This location creates the perfect spot from which to gaze skywards in the hope of seeing the Northern Lights. 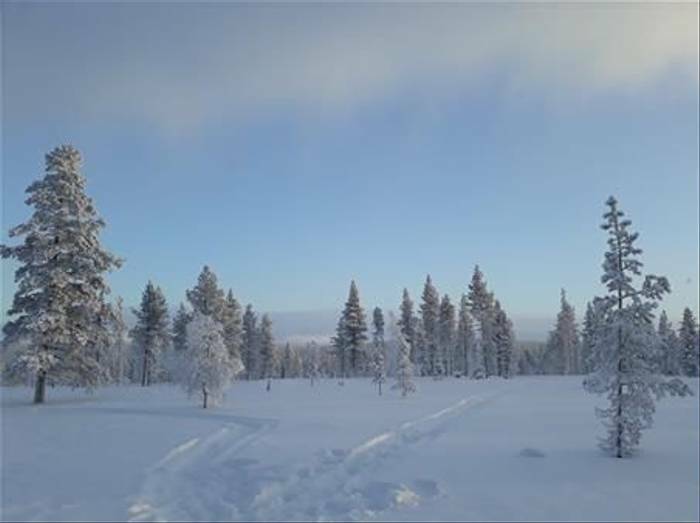 You will travel to the camp in a snowmobile-pulled sleigh and you will be offered warm drinks and snacks during your Aurora stake-out. 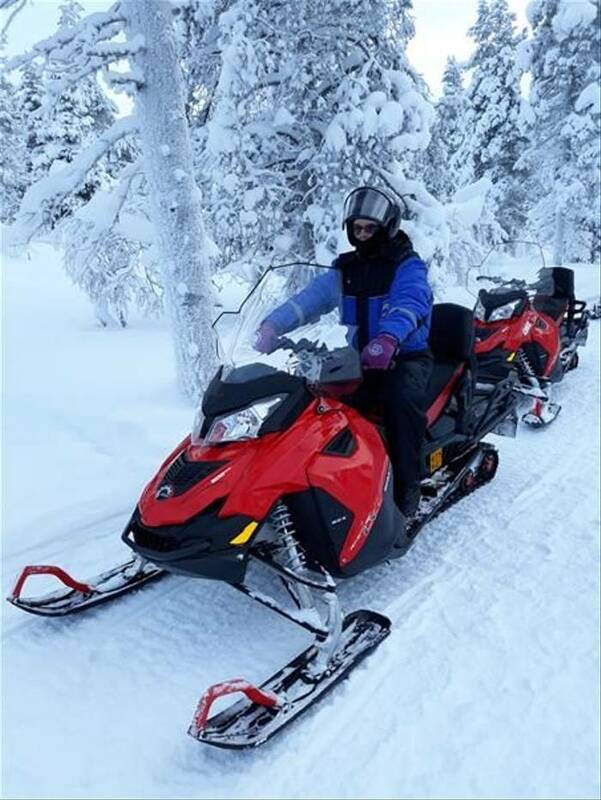 After a full safety briefing and instructions on how to drive and handle the snowmobile, you will head out for a snowmobile safari lasting approximately four hours (including lunch). 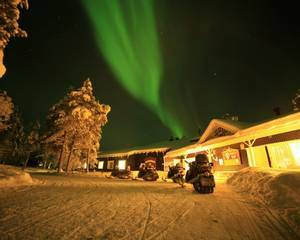 You will travel two people per snowmobile and journey through snow-covered forests and over fells during this thrilling and exciting snowmobile tour. 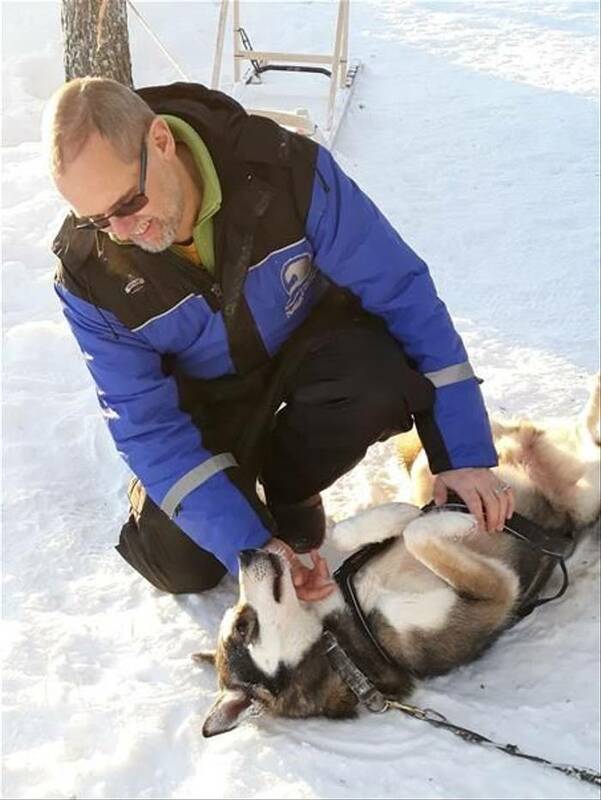 A husky safari is almost a 'must do' activity when staying at Muotka. When you arrive at the husky farm to meet the dogs, you will hear their excitement before you will see them! They are always so eager to get out and onto the trail so they can run. You will be shown how to handle the sled before heading out on your safari which will take you through the beautiful wintery forests. 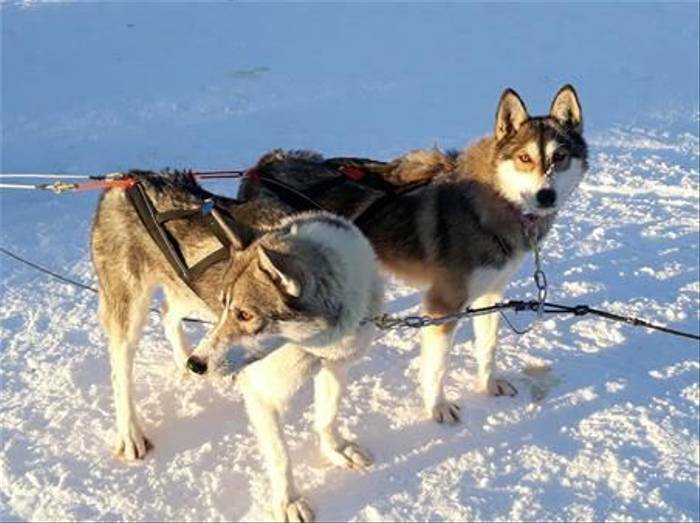 Two people will share a husky sled, allowing you try both controlling the sled and relaxing as a passenger. You will travel for roughly two hours with the dogs. A soup lunch will be served at the husky farm. 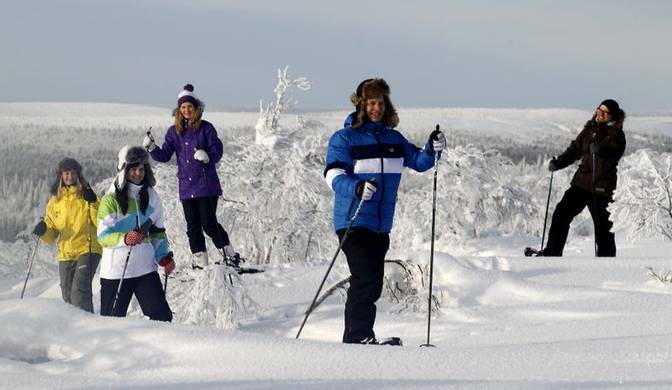 Cross-country skiing is one of the most popular Scandinavian activities and this is your chance to learn the basic skills. You will be taught the fundamentals before heading out on a two-hour long ski tour on the local trails. Snowshoeing allows you to explore the remote forest areas around the hotel in peace and tranquillity and gives access to areas of the forest which remain out of bounds to those who travel without them. Your destination is the top of the nearby Kiilopää Fell where you will be rewarded with great sights over the fell area of Saariselkä. Your experienced guide will provide you with warm drinks and snacks en route. A picnic lunch is included en-route. 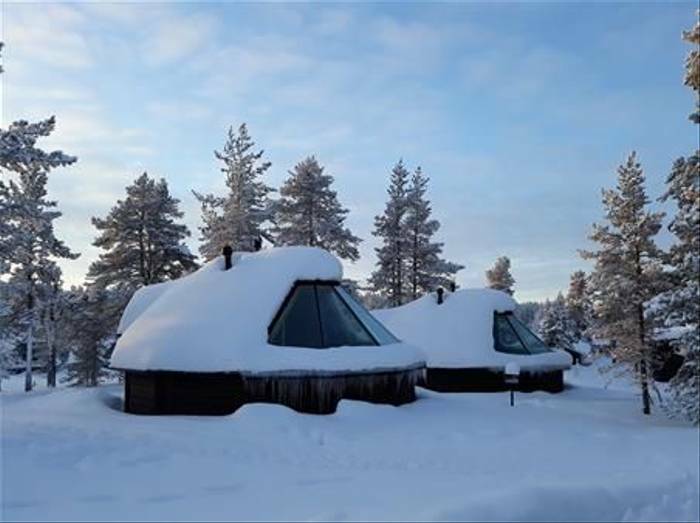 Adventure and tradition are combined during this activity as you travel by snowmobile to a reindeer herder's farm and gain an insight into the Sámi culture. 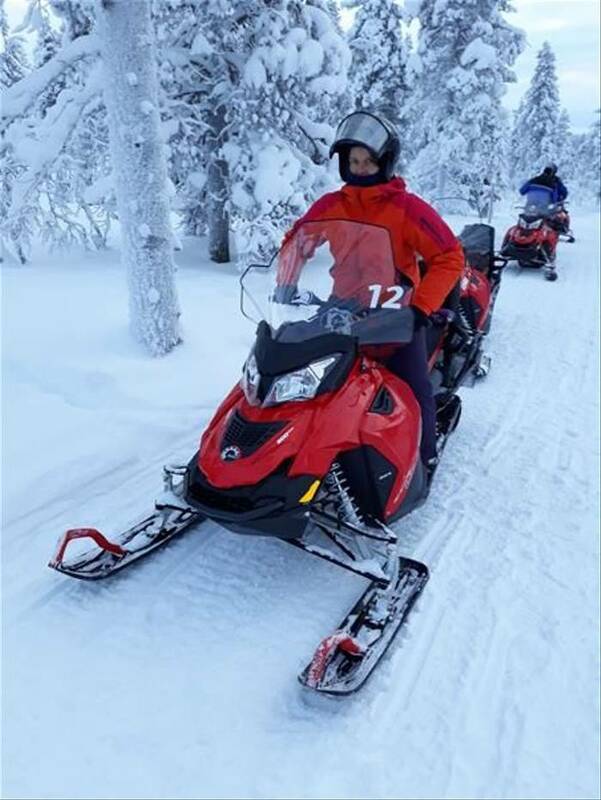 After full instruction and a safety briefing, you will set off on your snowmobiles (travelling two people per machine) and journey to meet with the reindeer herder. After an introduction to the reindeer, you will enjoy a short sleigh ride and be shown how to lasso a reindeer, a tradition which remains part of herding today. 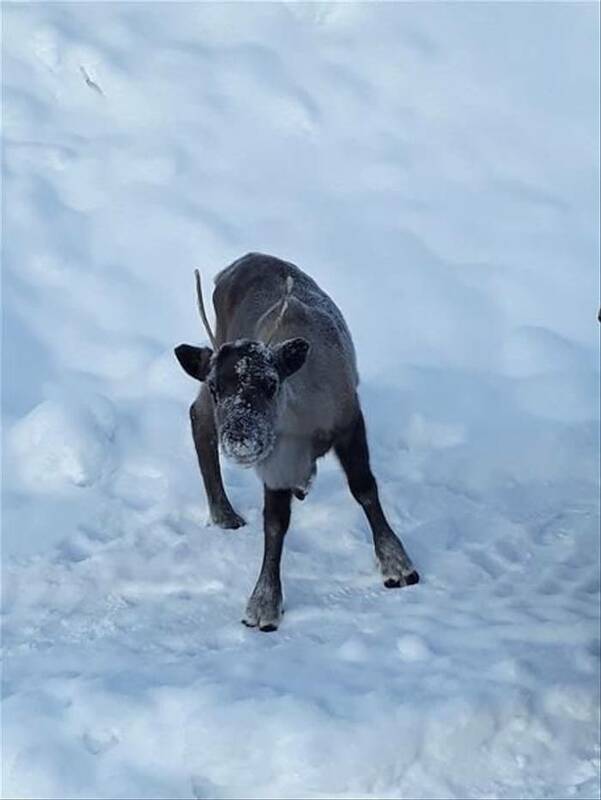 You will have the chance to ask questions throughout and are sure to gain an understanding of the importance of the reindeer and the role which they play in Lapland. The total duration of this activity is 4-5 hours and a soup lunch is included. Please note: prices for the departure dates 12th Dec – 5th Jan; 6th Jan - 5th Feb; 6th Feb – 23rd Feb and 24th Feb - 18th March are based on direct flights (Thursdays and Sundays from London Gatwick). Supplements for indirect flights from London Heathrow (via Helsinki) may apply. 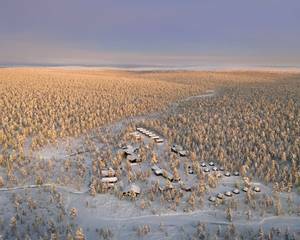 Please note that you must book at least one activity to secure accommodation at Muotka Wilderness Lodge. What more can I say..apart from what an amazing Aurora Borealis display we were lucky enough to see...the sky lit up in different colours and we didn’t know where to look next! Another great holiday to remember. There's not much to say - the holiday was perfect in every way. The friendliness of the Finnish people, the warmth of their welcome and the standard of their care - all excellent. Read more question reading the least enjoyable part of the holiday, nothing jumped to mind. I’m going to use that as a measure of how much I enjoyed this short break away and if pushed, the least enjoyable part of the holiday was the having to get up early to get the first pick of breakfast instead of getting the dregs towards the end of the sitting. I think you can take from this that there were no deal breakers and I thoroughly enjoyed myself. The husky safari! It was a memorable experience to get an hour run with the sled and the dogs. Thank you for an amazing experience with wonderful staff! Read more to see how much care and attention is given to these beautiful creatures. Magical and amazing. The organisation and execution of the holiday was perfect. Two hours being pulled by huskeys through an untouched paradise, what more do I need to say. I must extend our wholehearted thanks to all who organised our recent trip to Finland and the wonderful Muotka. What a truly magical place. The staff were so lovely and nothing was too much trouble, comfortable bedrooms and good food. 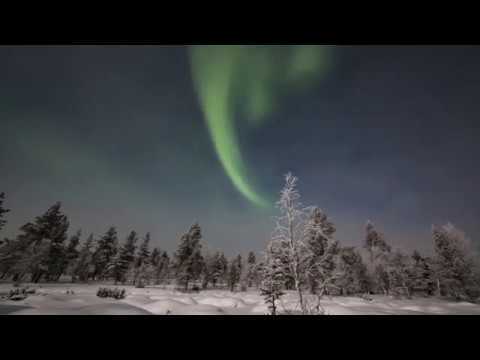 Read more Aurora activity was going to take place... we went out of our room, stared into the sky, within a min of 2 minutes, the lights just came dancing in the sky! I had spent 10 days in Iceland during winter but saw nothing, here we stayed for 4 nights, and we were blessed with at least 5 light displays in the sky! Just amazing and spectacular! (There was a night where the whole sky turned into green colour!). The accommodation was beyond my expectation! It was clean and neat and spacious! And all the staff were very helpful and friendly! I have to say that everything was just perfect! Now am thinking for my next Northern Lights hunting! Perhaps Norway!